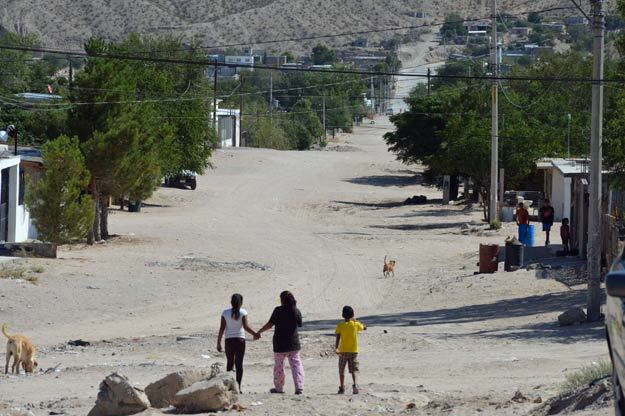 A view outside a clinic and school for special needs children in Anapra, Mexico … not far across the border from El Paso, Texas. Recent Border Experience participants crossed the border to visit this facility. Bishop Mark J. Seitz, bishop of the Catholic Diocese of El Paso, recently wrote a pastoral letter entitled, “Sorrow and Mourning Flee Away: Pastoral Letter on Migration to the People of God in the Diocese of El Paso,” which was officially signed July 18 during an event in front of religious and civic leaders in El Paso. The Sisters of St. Joseph of Concordia have a house and Sisters in El Paso, and regularly schedule Border Experience trips there to help Sisters and laypersons fully experience the reality of the current immigration policy in the United States and see firsthand the human suffering that is a result. The Immigration Committee of the Sisters of St. Joseph of Concordia encourages everyone to view the following link to a pdf of the Pastoral letter.